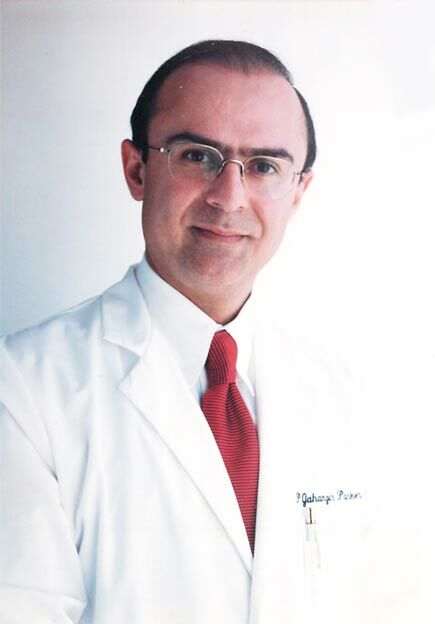 Peter J Parker, M.D., Inc. F.A.CA.I. In our practices, which are located in Encino and Glendale, we provide you with personal care. Many frustrated patients who were suffering from their allergic illnesses for a long time have found comfort after visiting us. Peter J Parker M.D. offers patients in the greater Los Angeles area an opportunity to experience relief from their allergic illnesses. Our offices are located in Glendale and Encino with convenient hours and days. Dr. Parker specializes in the diagnosis and treatment of pediatric and adult patients with allergy and asthma related conditions. He is dedicated in providing his patients with personalized care in order to get to the core of the patient’s concern. He is driven to provide you with advanced treatment and customized care that puts you at ease and makes you feel well taken care of. He is committed to help you or your family to achieve the maximum relief from the symptoms. Peter J Parker M.D. is an allergist who focuses on your needs first by carefully listening to and discussing your symptoms with you. That could include runny nose, sneezing, asthma, hives, chronic cough, nasal congestion, eczema, itchy skin, reaction to the insect bites (bee venom allergy) or other animal triggered allergies. We are here to help you find the relief that you need. We are dedicated to provide you or your loved one with the highest standard of care. Dr. Parker believes, “One size may not fit all,” so he pays a particular attention to every single patient’s complaint in order to solve his or her problem. In our practice we see all ages from pediatrics to adults. Patients are being referred to us from different parts of Southern California such as San Diego and Irvine. If you reside in the area, we will be happy to offer you the best standard of care in allergy and immunology. Maybe you or a loved one suffers from seasonal or chronic allergies related to pollen and other airborne irritants. Runny nose, stuffiness, dry mouth, itchy eyes, and a sluggish feeling are all symptoms of allergies. While over-the-counter remedies help many sufferers, some patients require more extensive help. These people may have developed nasal polyps or have a physical obstruction that requires a medical/surgical solution for maximum allergy relief and healing. Sinus disorders affect nearly 50 million Americans annually, resulting in loss of productivity and needless suffering from chronic facial pain and pressure, cold-like symptoms such as sinus drainage, sore throat and cough, congestion, and fever; sinus infections, loss of taste and smell, tooth pain and bad breath. It is estimated that 50 million North Americans are affected by allergic conditions. The cost of allergies in the United States is more than $10 billion dollars yearly. Allergic rhinitis (nasal allergies) affects about 35 million Americans, 6 million of whom are children. Asthma affects 15 million Americans, 5 million of whom are children. The number of cases of asthma has doubled over the last 20 years. Need to make an appointment or get in touch with our office? Copyright © 2016 Peter J Parker MD Inc. Web development by Promotion LA.